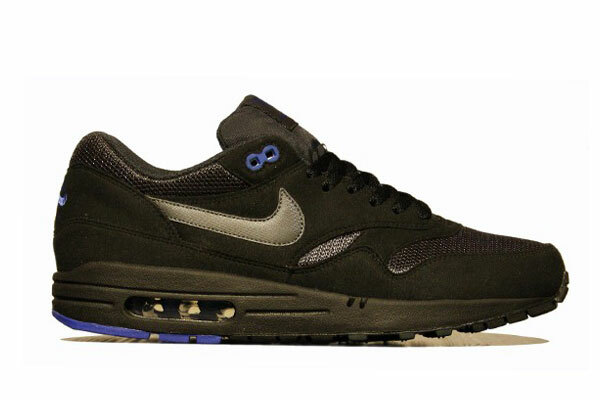 Another upcoming look for the Air Max 1 hits the web as Nike Sportswear continues to preview their Fall 2012 footwear offerings. One of several colorways for the Air Max 1 releasing this fall, the Air Max 1 will make it's way to retailers in a tradtional suede and mesh build. Black is seen handling the entire mesh and suede built upper on these, while blue accents on the eyelets, heel branding and parts of the outsole sitting down below. Look for these to hit this fall at select Nike Sportswear accounts nationwide.